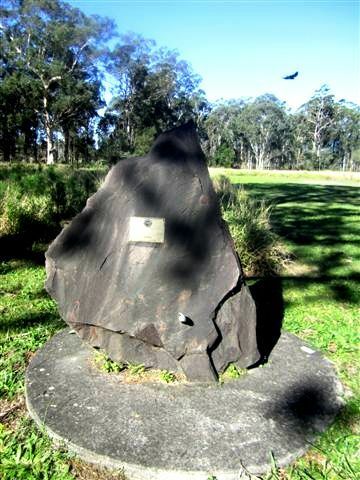 A plaque and time capsule commemorate 100 years of Forestry in Queensland. Commercial forestry production has been a part of Queensland for more than 100 years since George Leonard Board became Queensland's first Inspector of Forests in 1900. He was the first of a line of forestry heads who progressively refined forest management to a commercial science that balanced ecological needs with community needs for timber, recreation and multiple uses such as grazing and bee-keeping. When Board was appointed, Forestry was a branch of the Department of Public Lands. His staff consisted of two forest rangers, and, for the annual salary of £500, he administered a rapidly growing industry throughout the state. From a branch in the Public Lands Department, Forestry became variously the Department of Forestry, the Queensland Forest Service and DPI Forestry, a business group within the former Queensland Department of Primary Industries and Fisheries. In 2006, commercial plantation forestry operations and commercial native forest operations were split with the former being managed by a Queensland Government plantation forestry corporation – Forestry Plantations Queensland Pty Ltd – and the latter by Forest Products, a business group within the Queensland Department of the Environment and Resource Management. This restructuring of Queensland Government forestry operations businesses culminated in 2010 with the sale of the Forestry Plantations Queensland Pty Ltd business to Hancock Queensland Plantations, a company managed by Hancock Timber Resource Group. While the one-time Forestry Department had responsibility for almost all forest-related activities in Queensland (including national parks), forestry management is now spread across several Queensland Government agencies and the private sector.